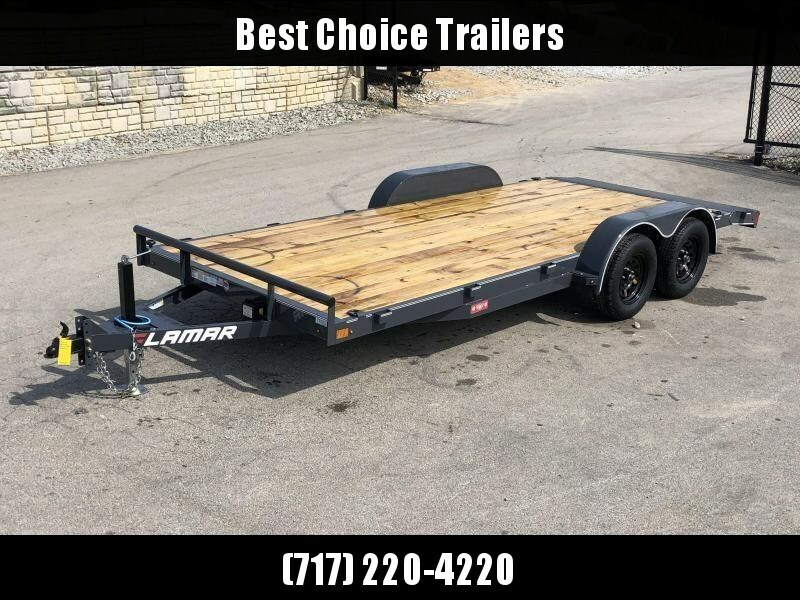 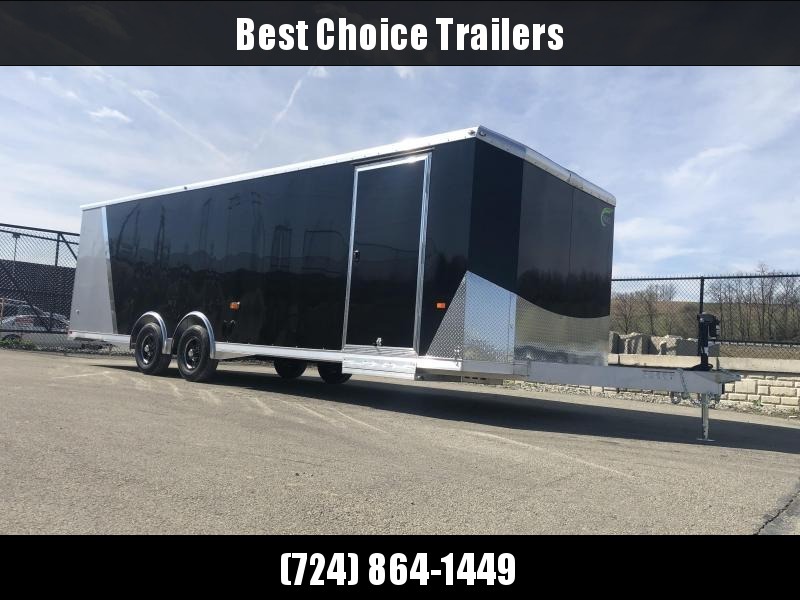 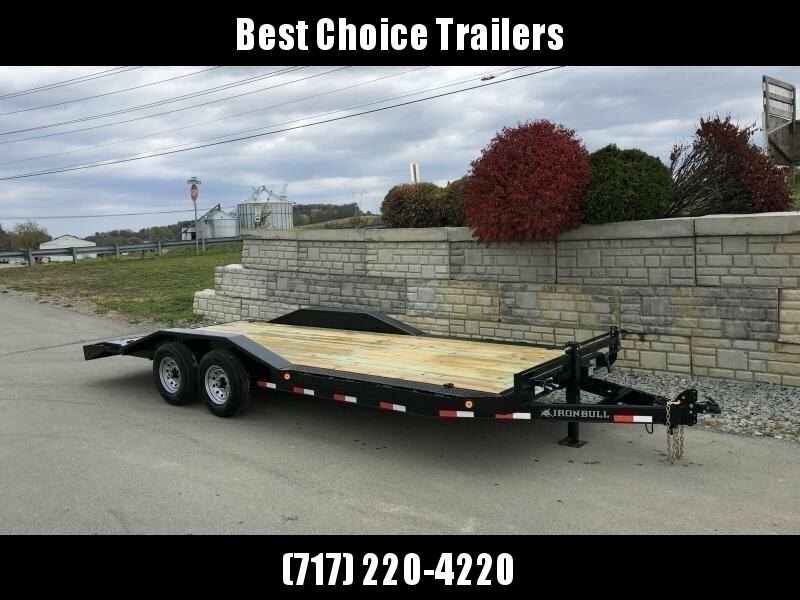 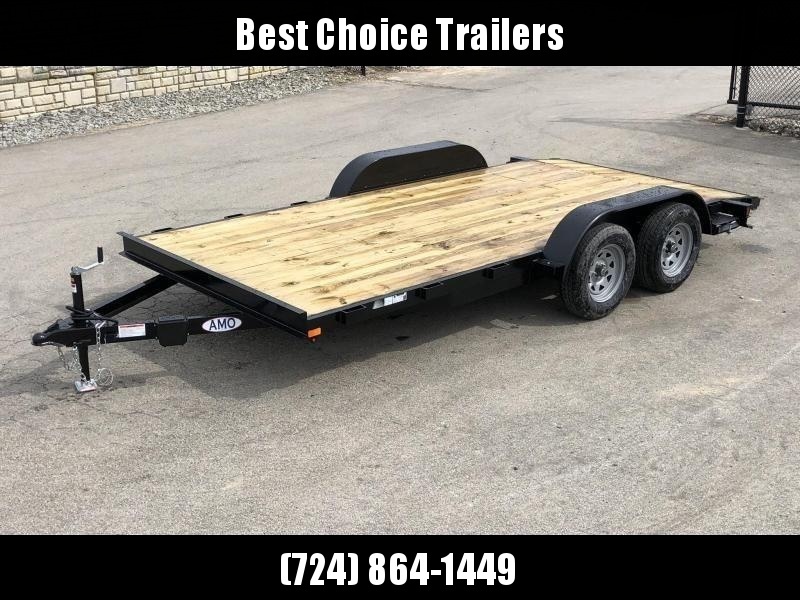 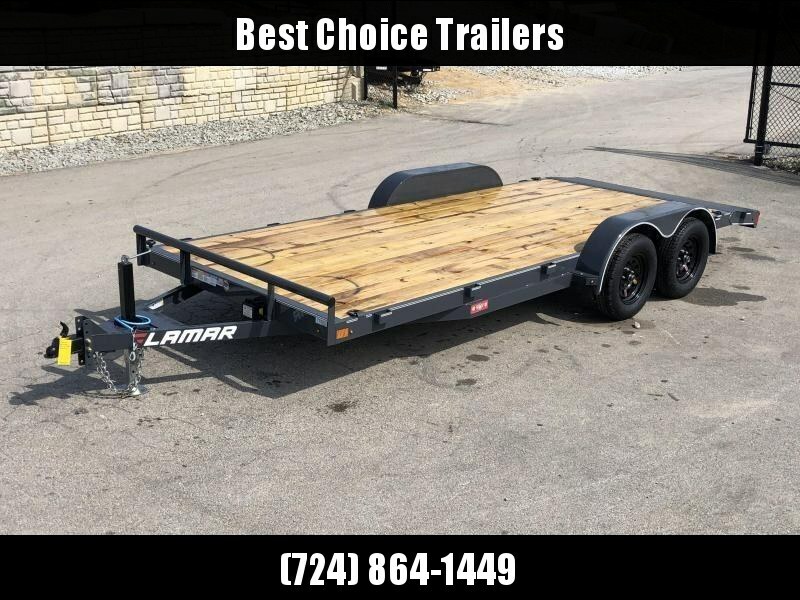 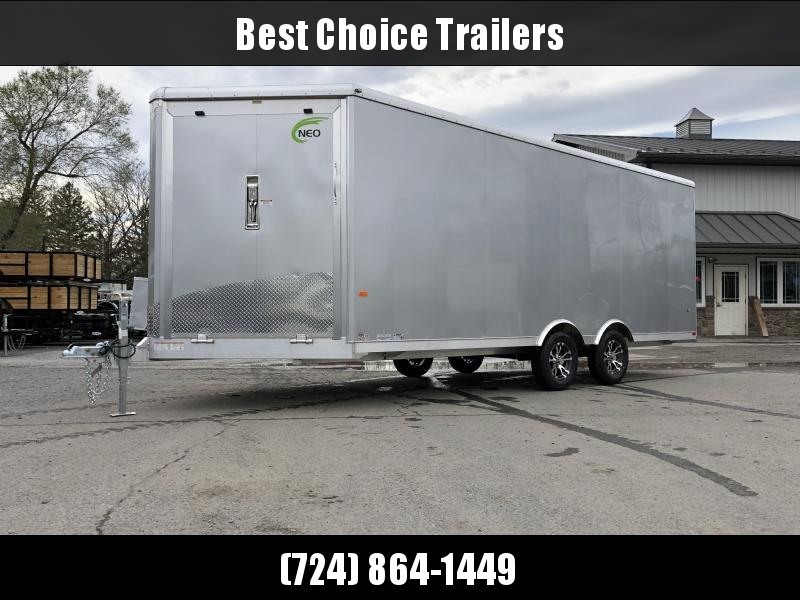 THIS TRAILER IS A SOLID VALUE. 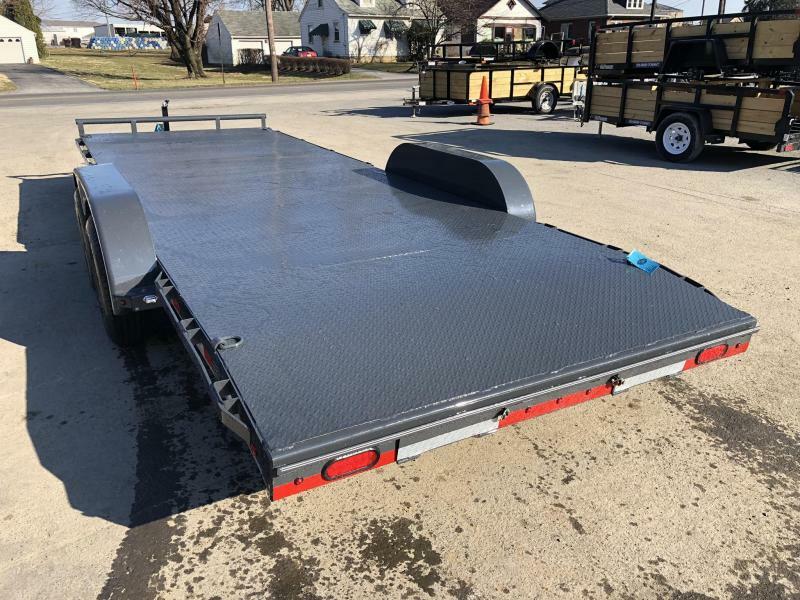 IT'S ESSENTIALLY BUILT AS AN EQUIPMENT TRAILER, BUT HAS SLIDE IN RAMPS. 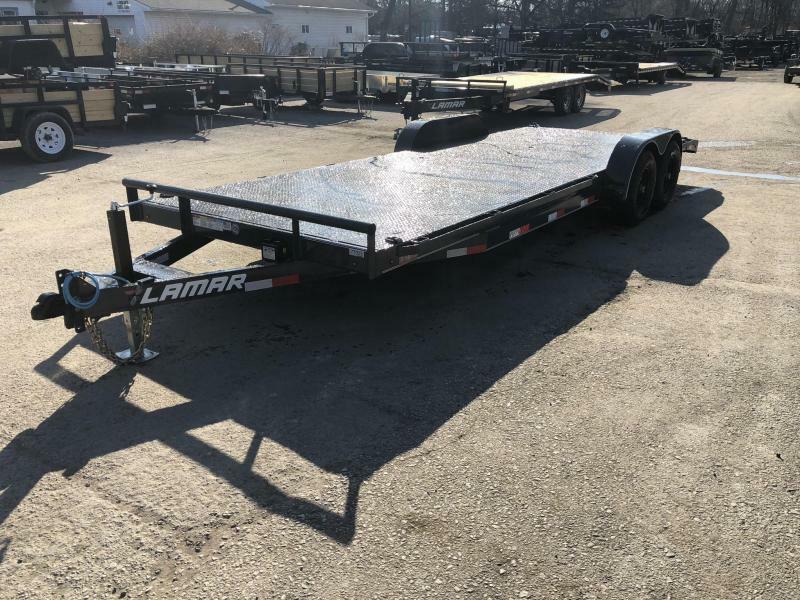 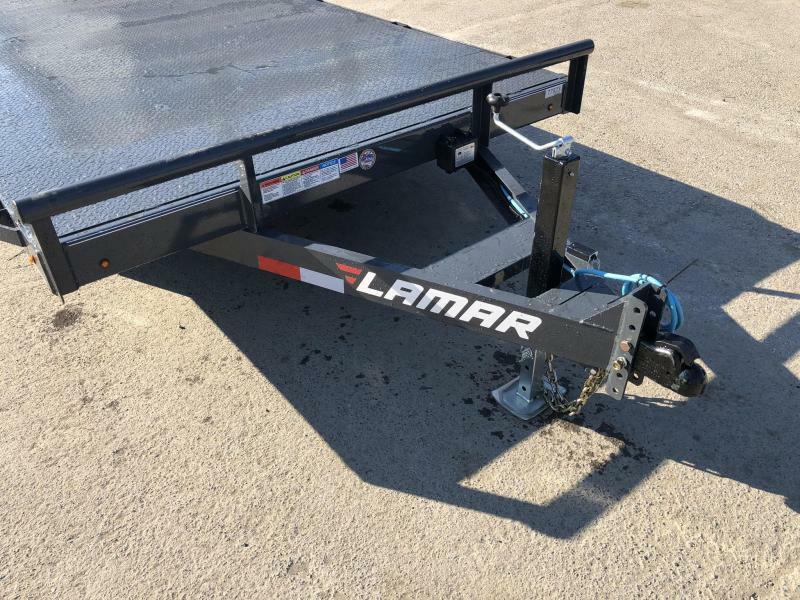 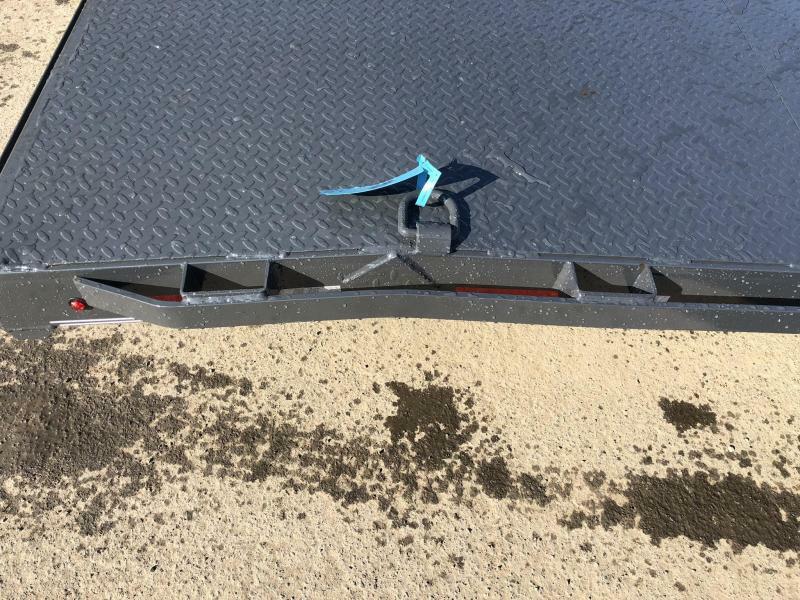 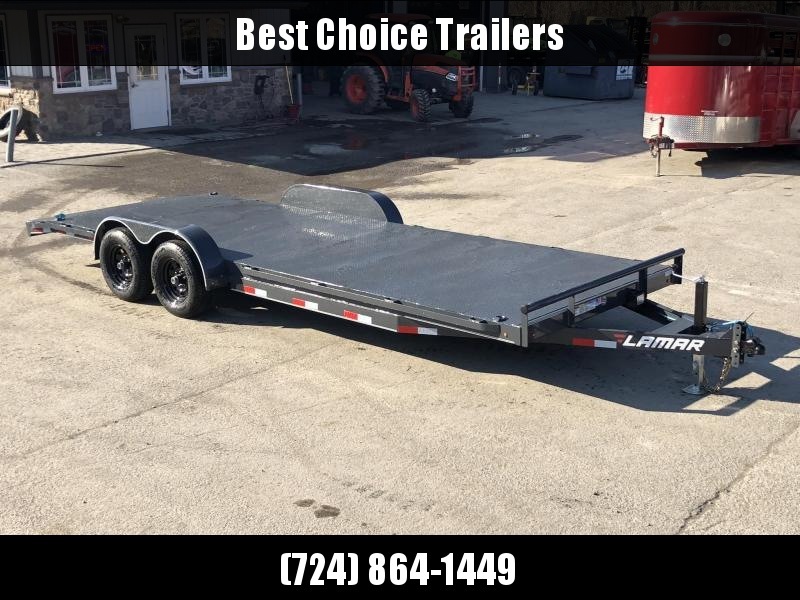 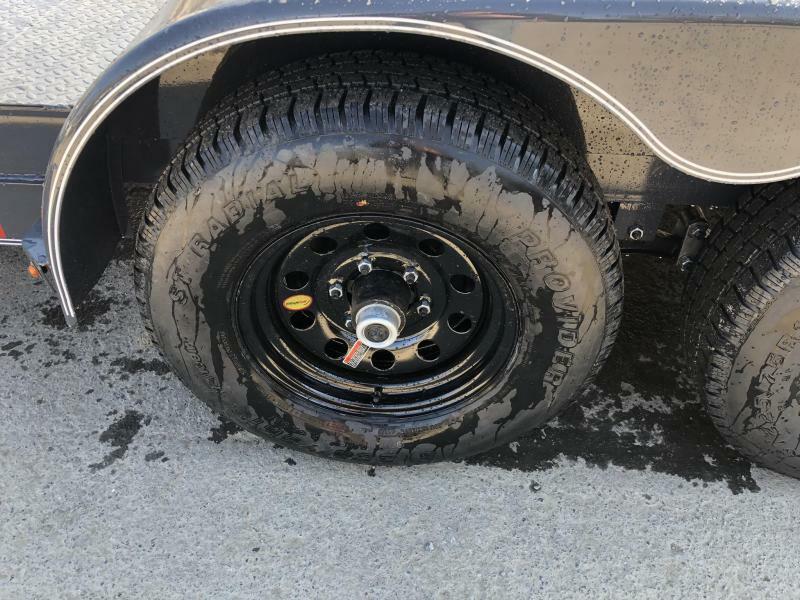 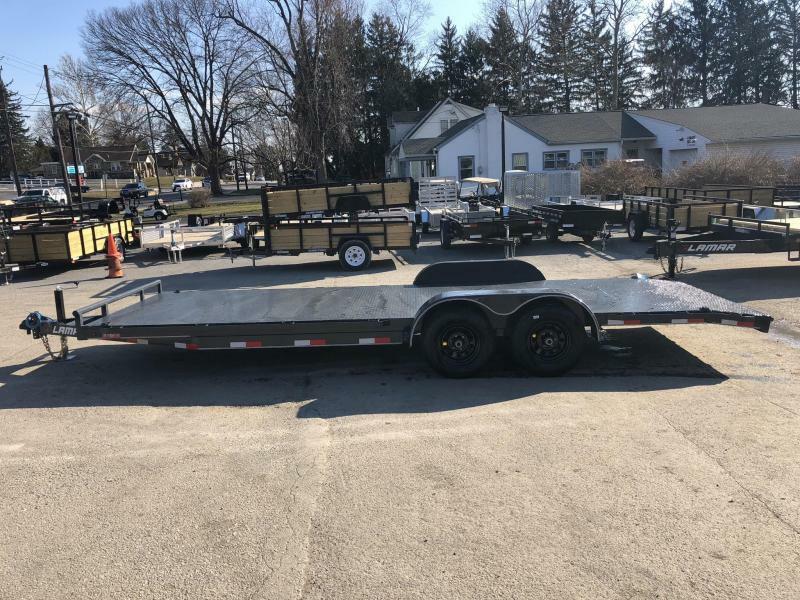 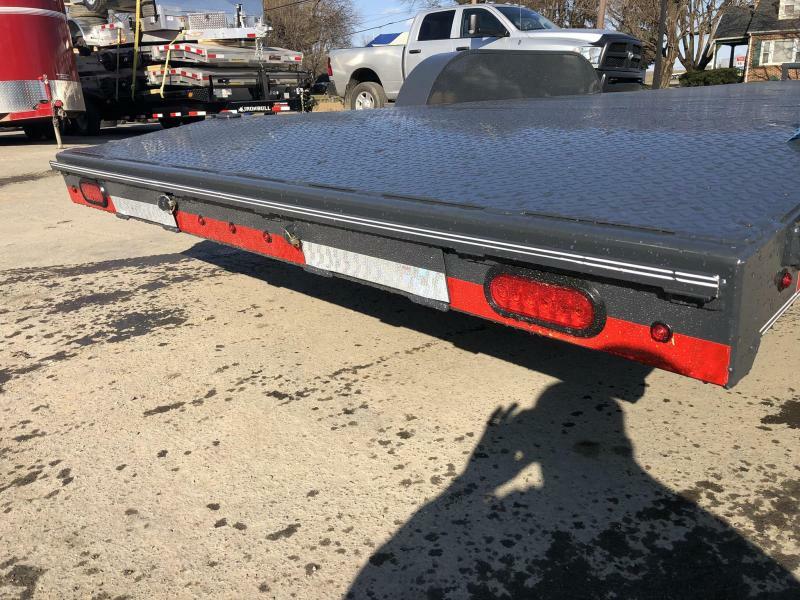 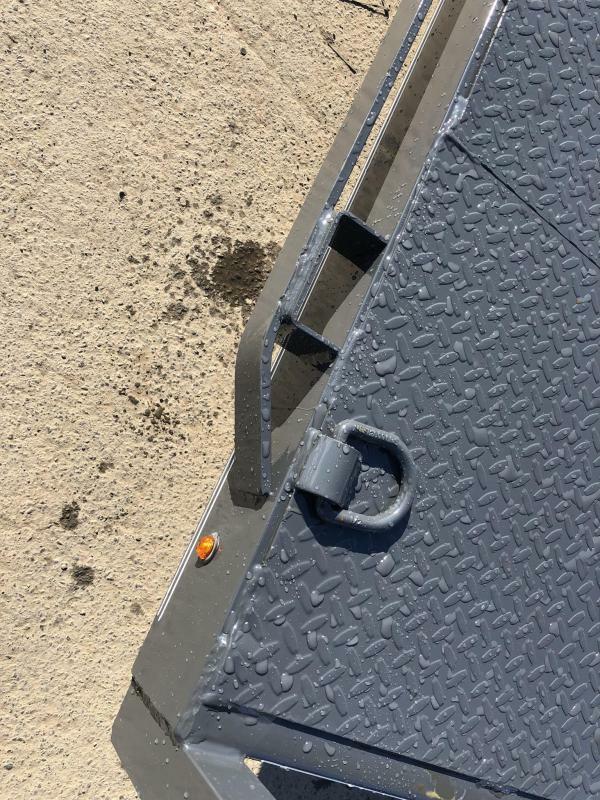 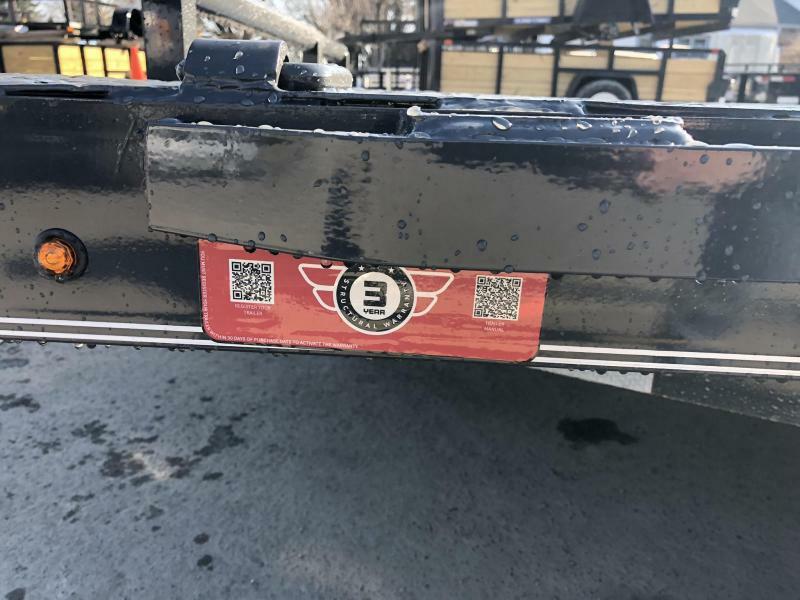 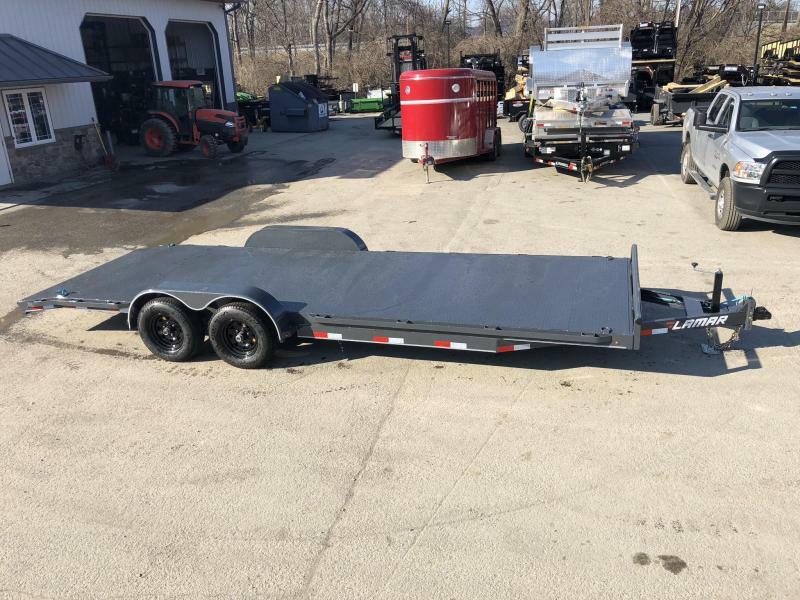 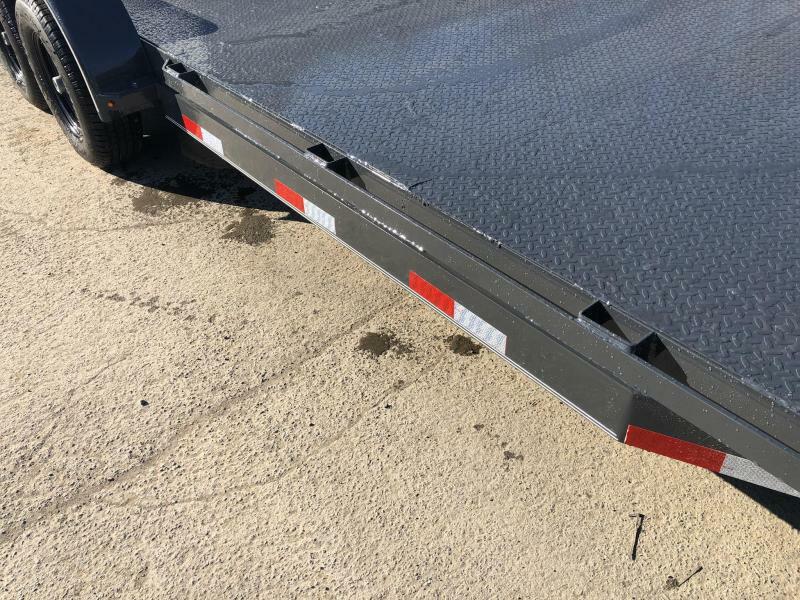 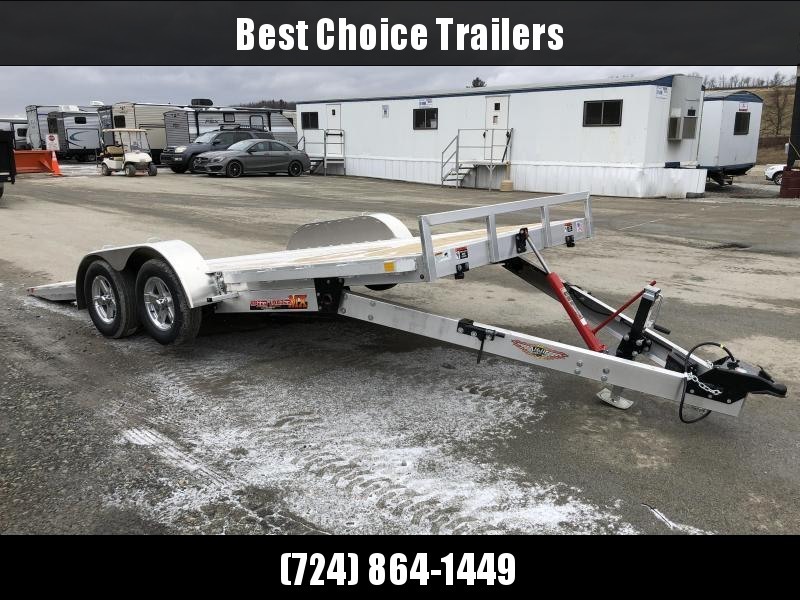 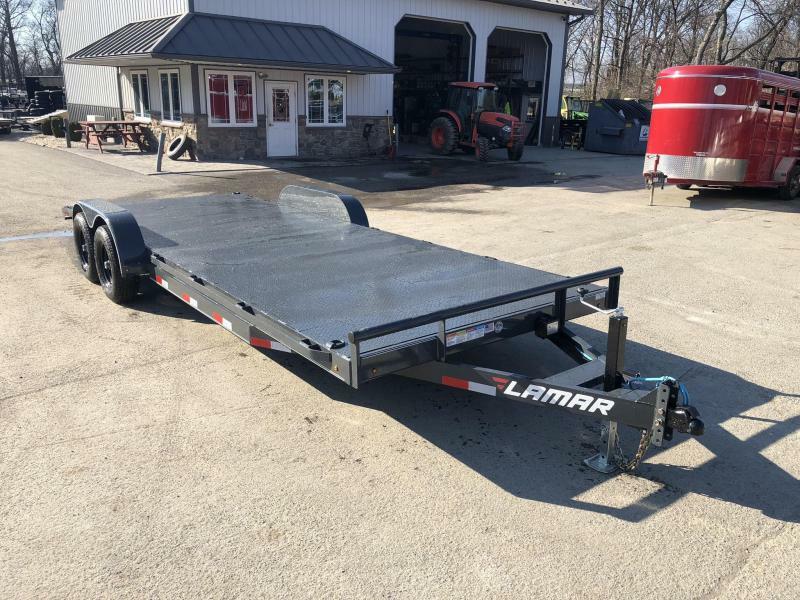 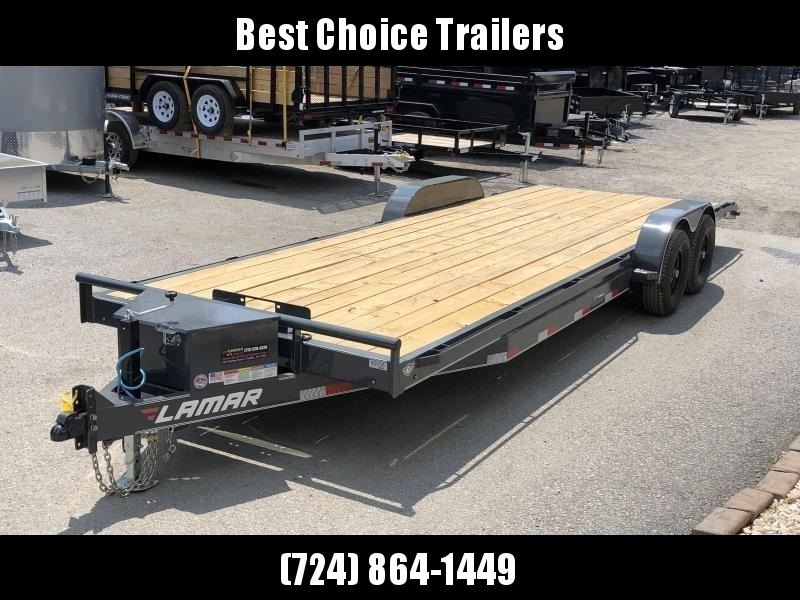 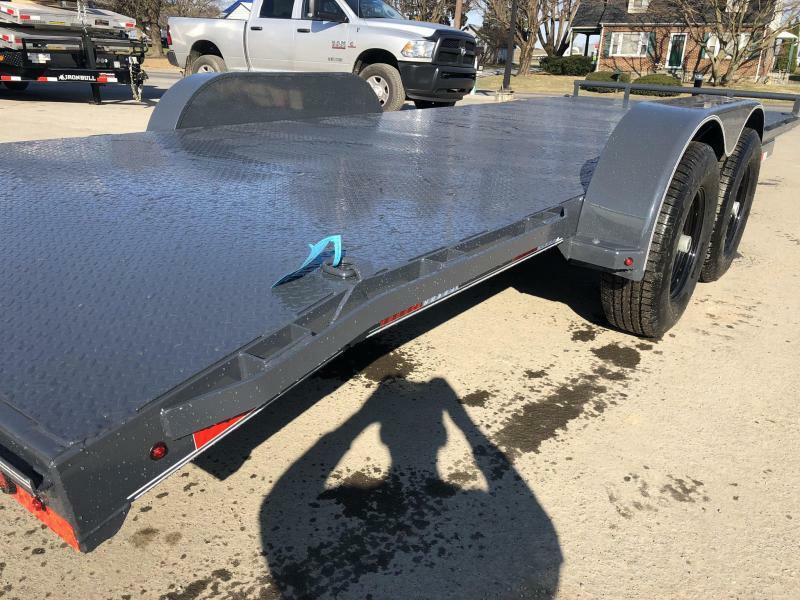 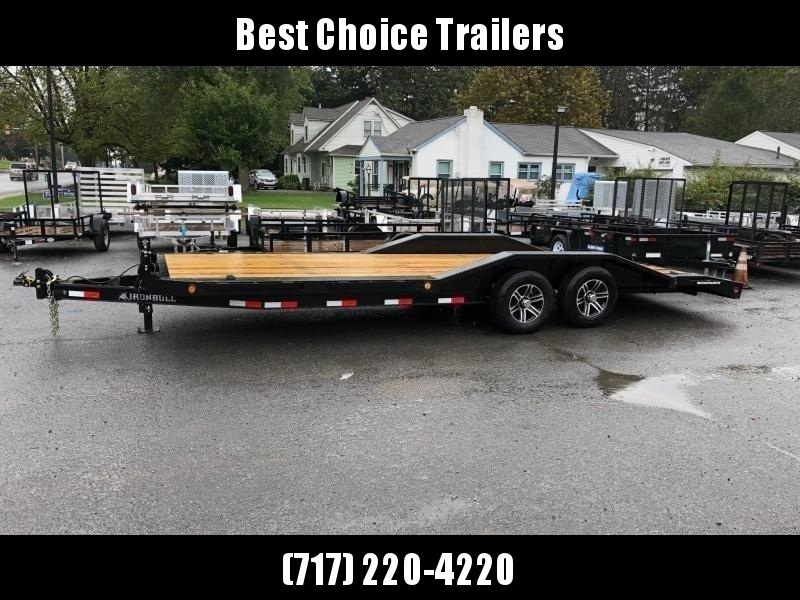 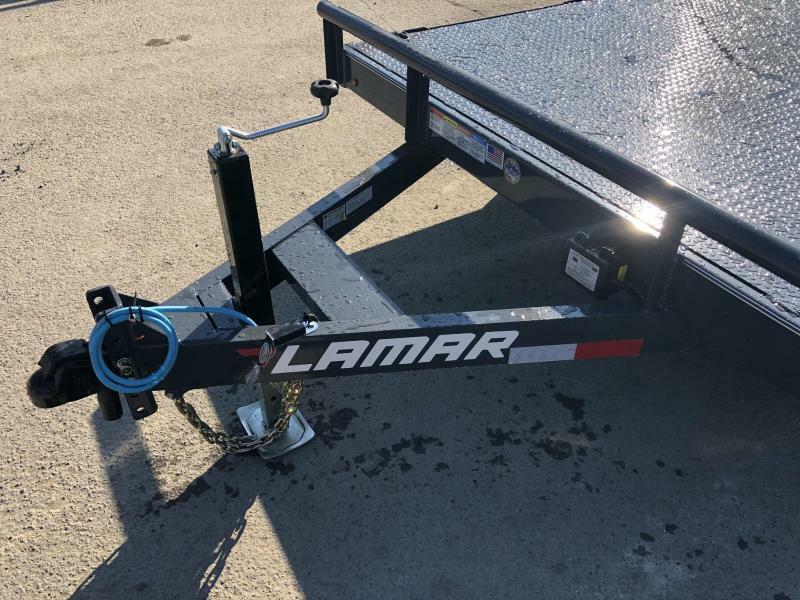 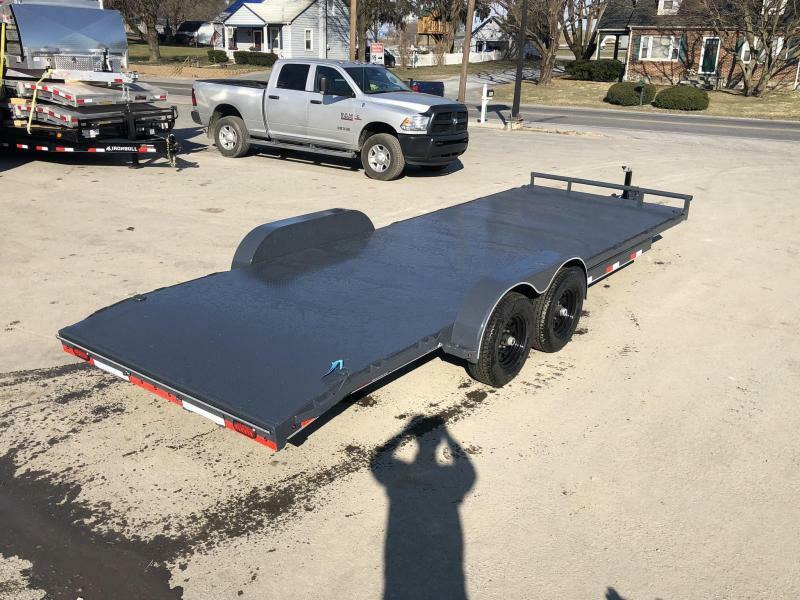 FEATURES NOT TYPICALLY ON A 9990# CAR TRAILER, SUCH AS STRUCTURAL CHANNEL (NOT ANGLE IRON) FLOOR CROSSMEMBERS, REMOVABLE FENDERS, RUB RAIL, ETC. 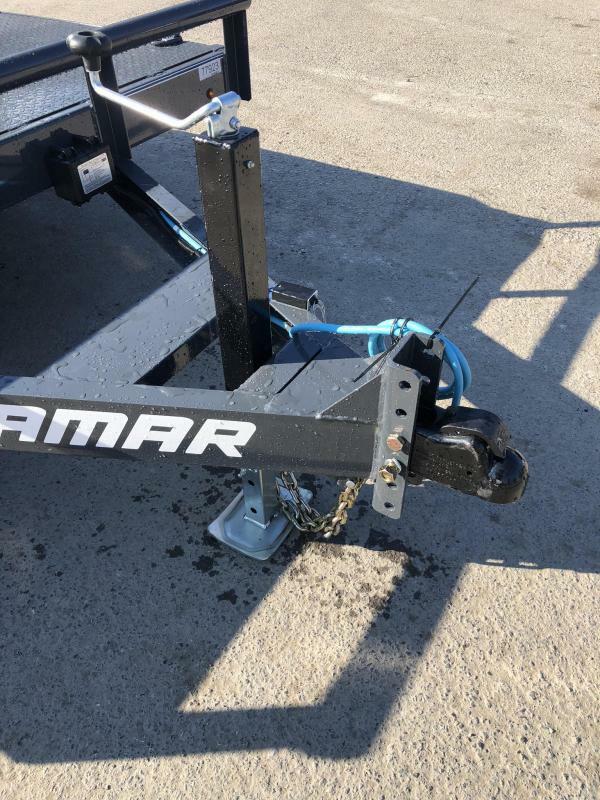 ALSO UPGRADED CHARCOAL POWDERCOATING, A 7K JACK, ADJUSTABLE COUPLER, 4 D-RINGS AND A STEEL FLOOR UPGRADE (11 GAUGE, NOT 12 OR 14, FLOOR LAYS A LOT SMOOTHER, WITHOUT WRINKLE). 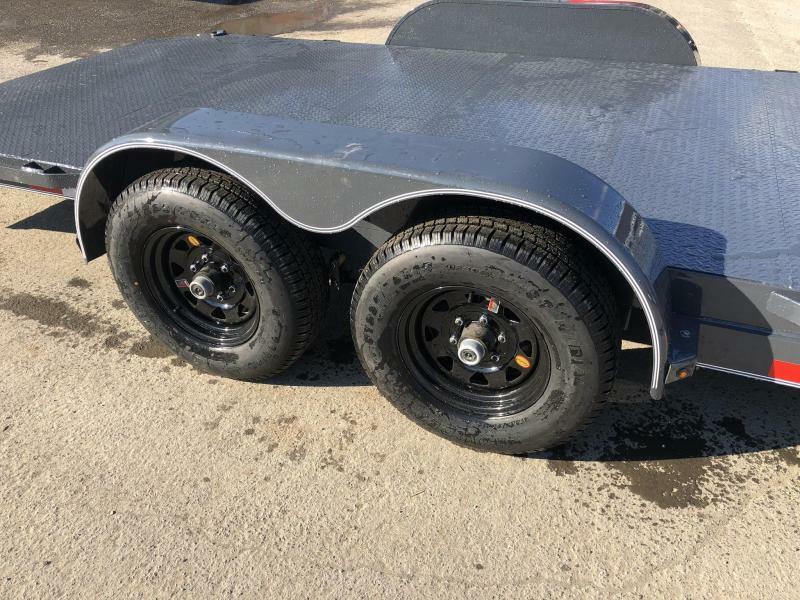 A VERY CAPABLE AND SOLID CAR TRAILER FOR THE MONEY.